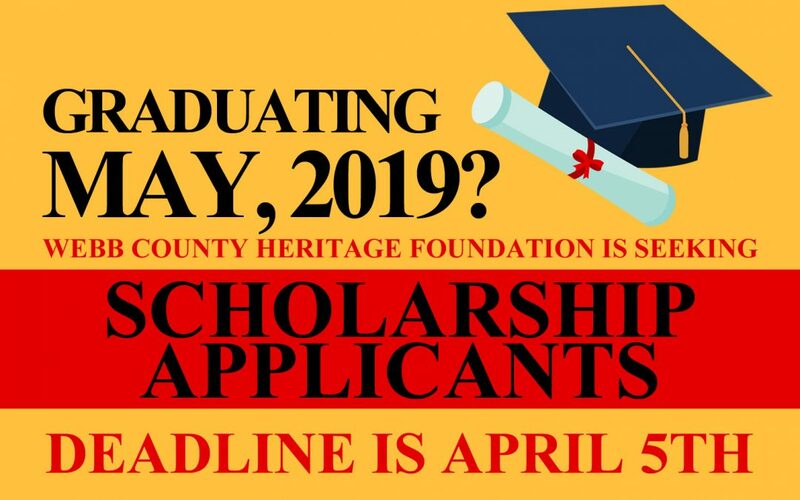 Every year, the Webb County Heritage Foundation of Laredo conducts a county-wide essay competition among graduating high school seniors, selecting a winner to receive the President of the Republic of the Río Grande® Scholarship. The only criterion used for the winner is that she or he write an essay on some aspect of family history, traditions, or culture. Deadline for this year’s applications is April 5th. The scholarship will be presented as part of the Founders’ Day Celebration at the Laredo Center for the Arts in Laredo. For more information, please call Andrea Ordoñez at the Republic of the Río Grande Museum at 956-727-0977. Download the scholarship application here!